If you are living next door to a musician you might be needing this product. 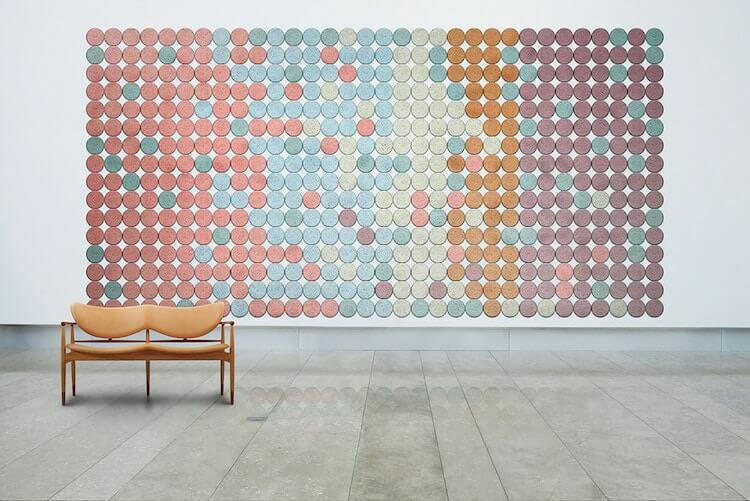 Here we have sound-isolating wall tiles in fantastic colors and shapes that can be easily arranged on the wall as you find it appealing and in accordance with the rest of your home decor. 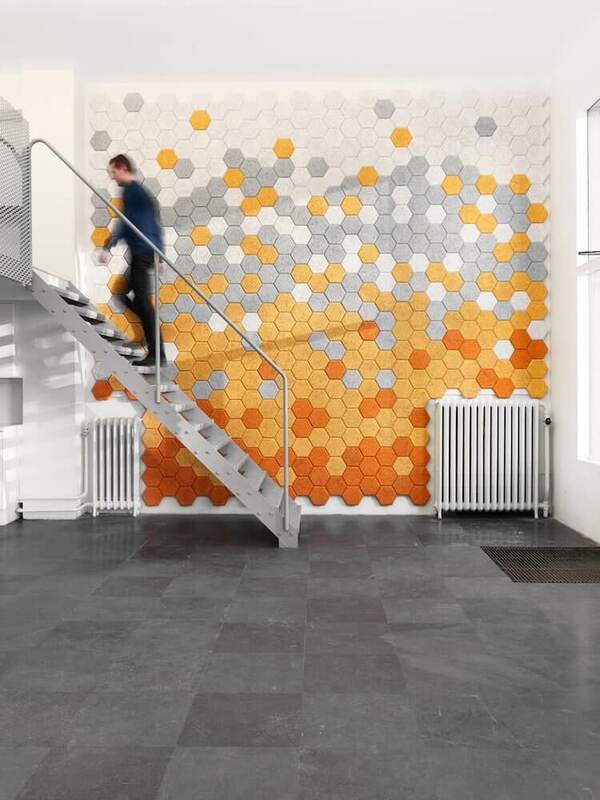 The firm which designed these modular wall tiles is From Us With Love. 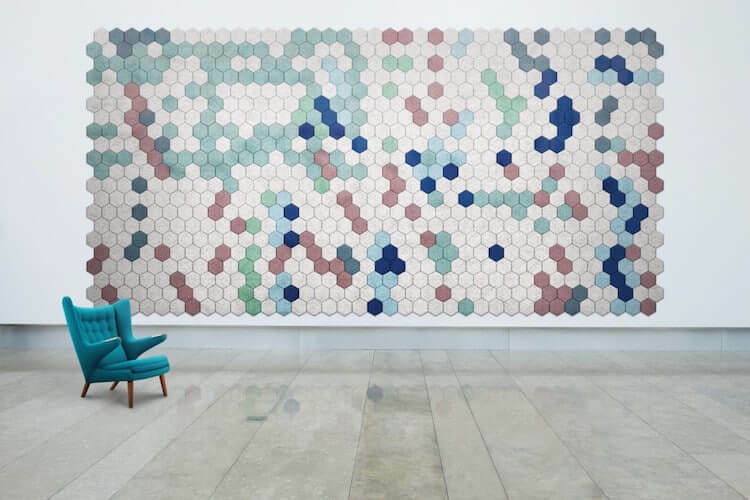 The tiles are designed for Baux (a contemporary building material firm), the modular panels were made in collaboration with Traullit, the sole, family-run manufacturer of the environmentally-friendly material, which is also known as Excelsior. 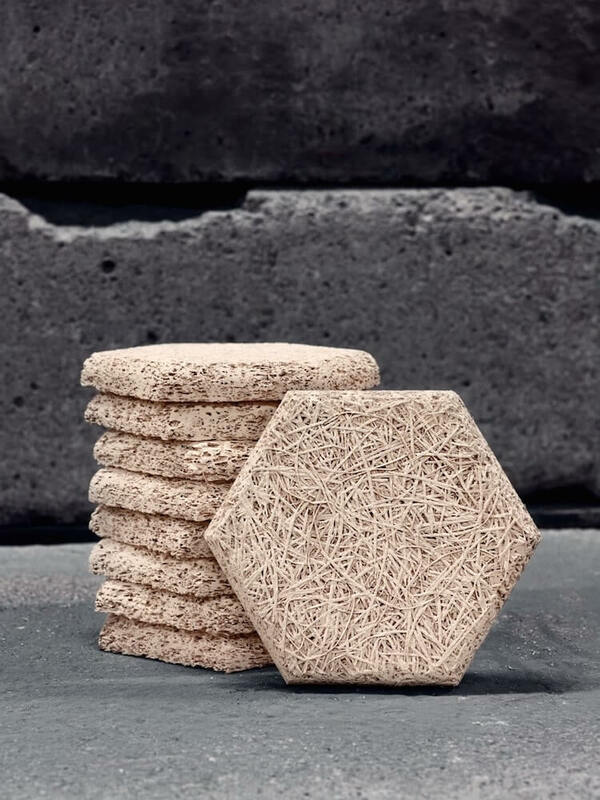 The material is sustainable and it’s a mixture of wood fibers, cement and water. Used for design of awesome geometrical, colorful, modular wall tiles, this material not only looks great as a kind of mosaic on a room’s walls but also is sound absorbent and moisture-resistant as well. 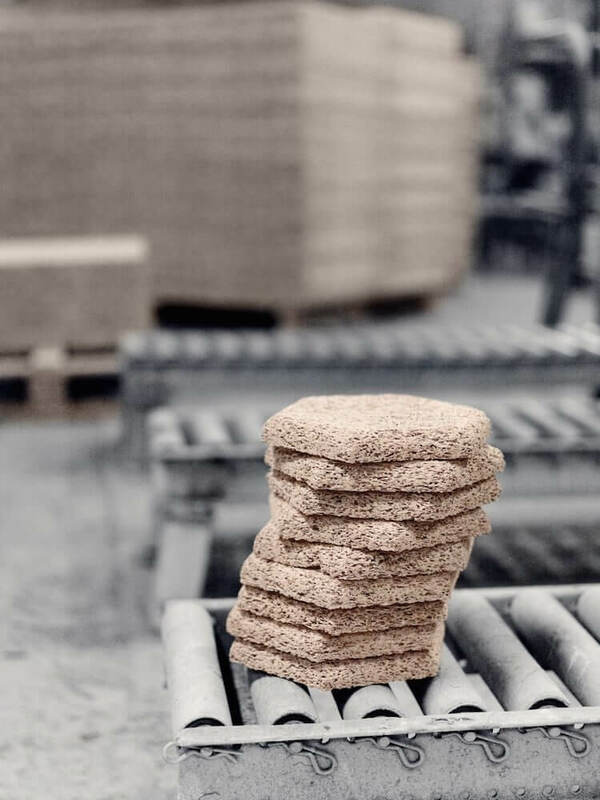 This sustainable material is known as Wood Wool and multicolored wall tiles designed by From Us With Love are called Baux Tiles. Check out in the gallery below how awesome the wall tiles look in various interiors. 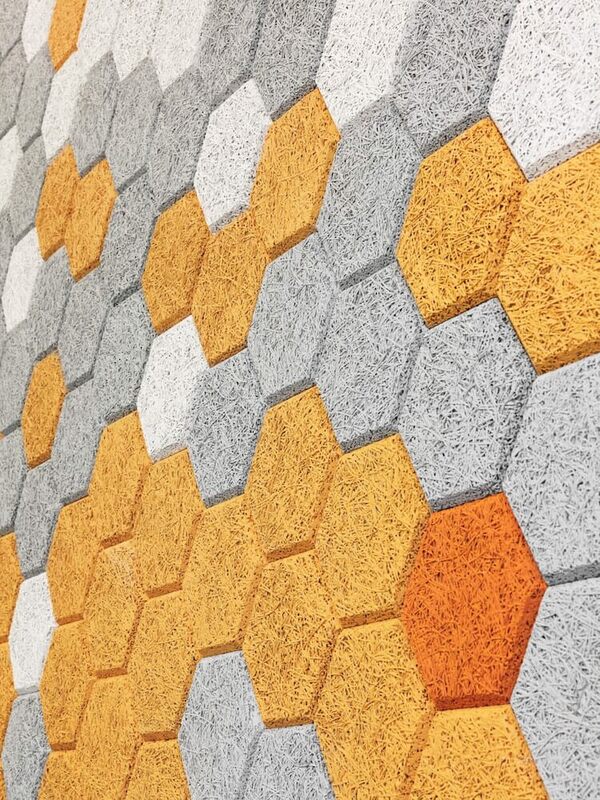 For more information about the Baux tile, check out the company’s website. 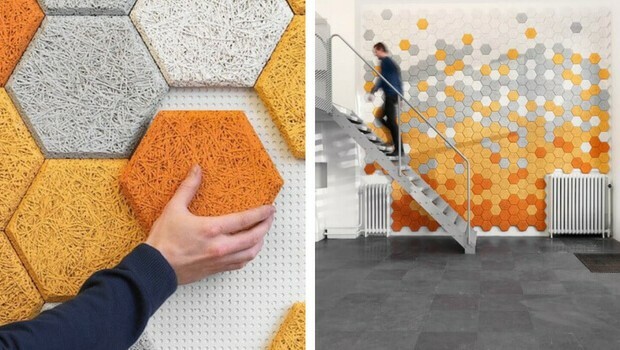 From Us With Love designed sound absorbent, water-resistant, geometrically shaped, multicolor wall tiles from a sustainable material. 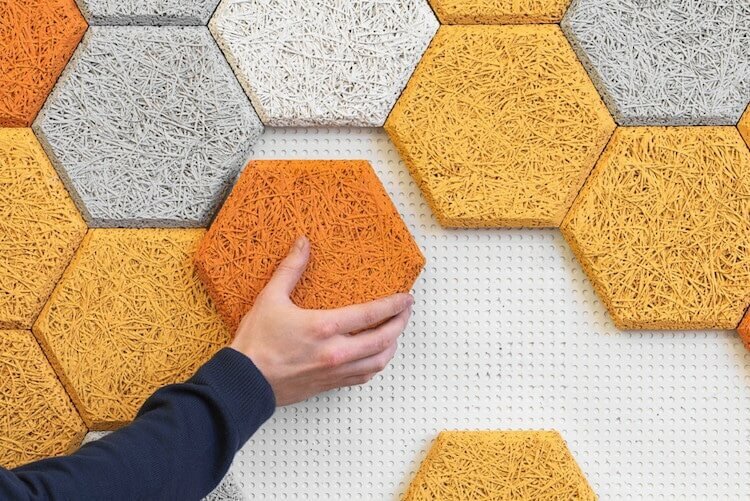 Designed for Baux (a contemporary building material firm), the modular panels were made in collaboration with Traullit, a family-run manufacturer of the environmentally-friendly material. 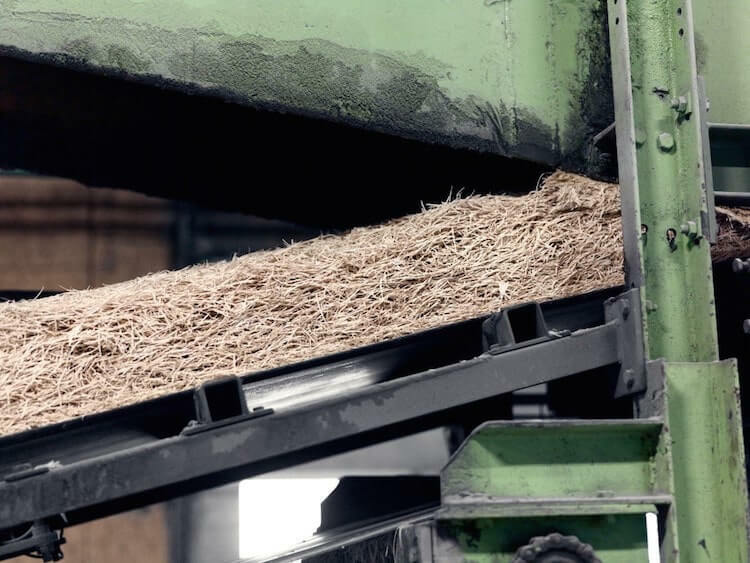 The sustainable material is known as Wood Wool. 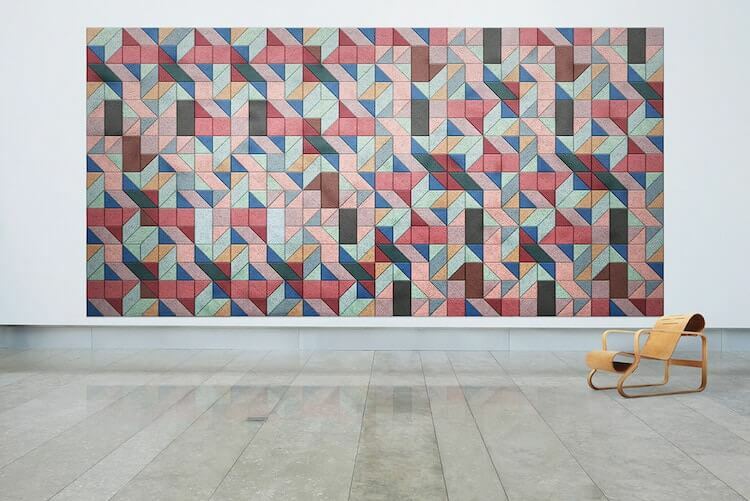 Multicolored geometrical wall tiles designed by From us with Wall are called Baux tiles. 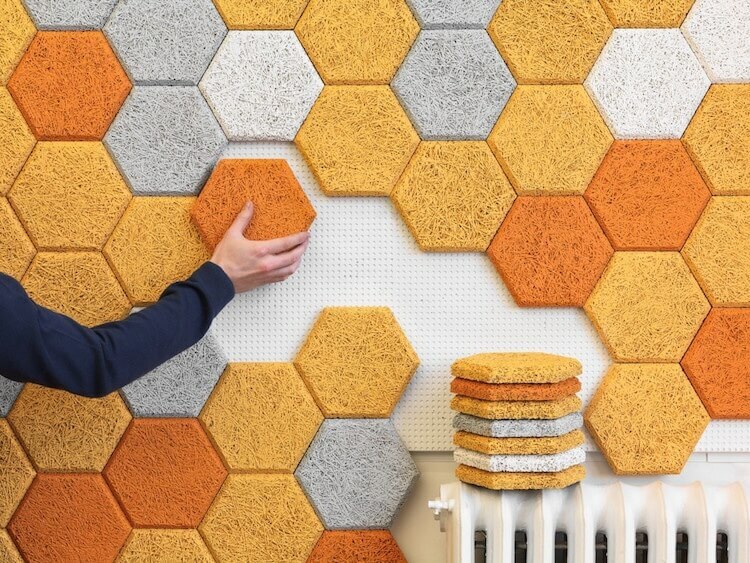 You can create awesome wall mosaic in your room using various shapes and colors of Baux tiles.